Which cigar are you pairing that with? I do not eat seafood. Now if ya make some good German Sausage to go along with those taters thats another story. He's not eating that, Pip. Who eats lobster in Texas, or pronounces the last syllable with an authentic New England accent? After dinner, I have to admit that I don't go machine made cigar. A nice pipe is the perfect capper for a rich meal like that. Unfortunately, Mrs. King doesn't love Crescent City Steaks as much as your humble narrator. Not sure what we're going to do at this point. ...Fooled ya! We had pizza. No time for an after-dinner smoke. I'm going to bed. Sweet dreams of machine made cigars, everyone. Ya know guys I just cant do the flavored cigar thing. I do realize WLC's are rum flavored but, as WK said when he gifted these to me "dont worry their not too rummy". And he was right. As many as I have smoked now I don't notice it at all anymore. So enjoy your flavored cigars fellas to each his own. They just dont suit me. 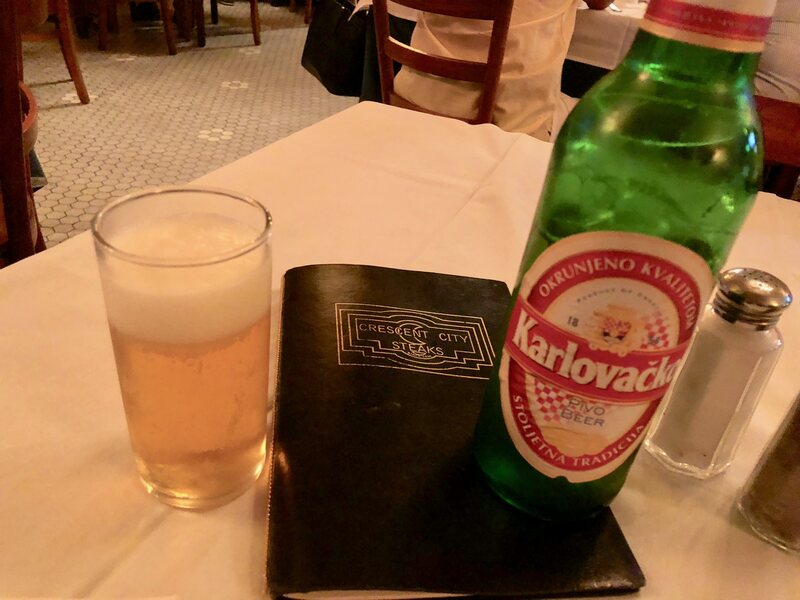 Karl and Birra Peja are the only thing that got me thru a long deployment in Kosovo.We used it to wash down their local shine,rikja.We called it rickshaw.........cause that's what you needed to get you home after drinking this stuff that taste like fruited lighter fluid. Thanks Mr King......that brought back some fond and not so fond memories. Is the machine made thread withering away? Today is August 20?!??!!!!! I have to admit, since the heyday of this thread starting up, we've been given less and less to talk about as the machine made industry shrinks. Any thoughts on the state of the industry? I'm not throwing in the towel but I don't have too much to say about machine made cigars these days. What does the Gang of Five or So think? I might have something tomorrow. Same machine made time, same machine made channel! Our man in the field.